MAR 1985 - MAR 1985 Captain Buford Tried to Capsize the Ship and kill us all! 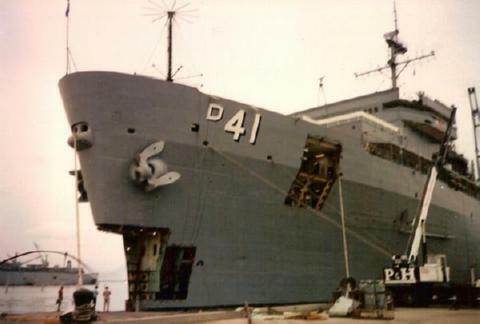 The third Yellowstone (AD-41) was laid down on 2 June 1977 at San Diego, Calif., by the National Steel and Shipbuilding Co.; launched on 27 January 1979; and sponsored by Mrs. Donald C. Davis, the wife of Admiral Donald C. Davis, the Commander in Chief of the Pacific Fleet. Yellowstone is slated to be delivered to the Navy in mid-January of 1980 and should join the fleet in the middle of the year.